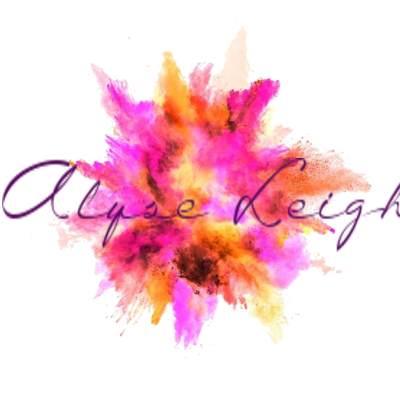 Alyse is back to share her (crazy) amazing advice with you all! Inspired by real-life events, she will help anyone who is struggling to keep their husbands in line ;) You do not want to miss this! I know you had all hoped you had gotten rid of me and that Joe had managed to divorce me, but sorry to disappoint ya’ll - I’m still here! And Joe, I AM NOT SIGNING THOSE PAPERS! Stop sending them OMG! I know you want my attention and love but darling, this is getting a bit too needy! Anyways, today’s topic is: How to train and keep a husband! As you all know, Joe and I are soooooo in love and he just simply can’t live without me. It’s a match made in heaven and he would be anything I ask him to do. Not everyone can be as perfect as us of course but I will do my best to teach you all some useful tips that I have found helps me in training… I mean, making my hubby happy. It is not a secret that the way into a man’s heart is his stomach. But did you know that the male anatomy simply shuts down if it doesn't get enough food aka fuel? Such a terrible design flaw, I agree but at least we girls know how to exploit it. Learn early what his favorites are and making sure to make them any time you need him in an extra good mood, is one of the best investments you can do for your relationship. For example: Have you wrecked his car? Solution: Spoon feed him lasagna made from his mother’s recipe and he will forgive you in a heartbeat. Do you need a new pair of shoes and they cost a thousand dollars? No problem, set him on the path to a food coma by deep frying all his food and buttering him up with chocolate. He will not know what he is agreeing and the will become oblivious to the bill on his credit card. Warning: Do not use this trick too often or he will demand that you cook every day and on his command. Keep him wanting more and become pleasantly surprised when you put in the effort. I mean, honestly ladies, who want to slave in the kitchen every day with no reward! There has to at least be a nice pair of earrings in it for you to make it worth your while. I hope you don’t mind getting a bit down and dirty. The first thing you need to do when you meet a new man is to find out everything about him. Yes, I mean everything! Who has he dated, looked at and googled in the past 24 hours (and lifetime)? Does he have any allergies, preferences in socks or strange cereal eating habits? If he is bad news you need to know about it asap. Any skeletons you find need to be saved and remembered for later when you can spring them on him at an opportune moment. The more proof you have of his wrongdoings the better. Also, don’t forget to make sure to follow your man around town to document all his comings and goings in case he does something he shouldn't. Just imagine if you were vegan and you catch him at a steakhouse! I know it would be tempting to use that information straight away but revenge and manipulation are best served cold so stay cool and only reveal you know when it inflicts the most pain…. I mean damage, I mean… you know what I mean! But what about if your man threatens to leave you? Easy, tell him how you know about that thing that he did and threaten to reveal it. Use all the leverage you got and bombard him with threats. Better to keep him in fear of you against his will than to let him win! Imagine, him dumping you! Unimaginable! You know you are a queen and should be treated as one. It is just too bad our men don’t always see it that way. Rather than demand everything at once, be subtle and leave hints about stuff you want. Make it seem like he came up with the idea to spoil you so that you don’t look like a huge diva for demanding it. If that doesn’t work, nag, nag, nag, and nag until he finally buckles and gives it to you just to make you shut up. Most men think they are so smart and that we do not notice them staring at other women (or men *cough* Joe). Unlike them, we are not stupid and know exactly what is going on and how to use it for our advantage. Guilt when being caught is a great way to acquire expensive apology gifts. Not only that, each time you let him think he gets away with it, he will feel more masculine and self-confident. Let him dream about the greener grass and imagine himself with those supermodels once in a while because let’s face it, he just simply is not handsome enough to get any one of them! Remind him of that any time he gets too cocky. Make sure he knows that YOU could have gotten any guy in the world but you still chose him, despite the fact that you are a perfect 10 and he is simply a mediocre 6.
have always found that the most effective way to keep other women (or men - RYAN YOU BETTER NOT BE LOOKING AT JOE AGAIN!) away from my man is to make sure everyone knows he is taken. When you are out, make sure to show as much PDA as possible and cling to your man like a blood leech. You do not want to let go of his arm or else he might start wondering off and who knows what vile female huntresses and wild animals he will find out there in the jungle of the real world. No, it is better to keep him in your eyesight at all times. 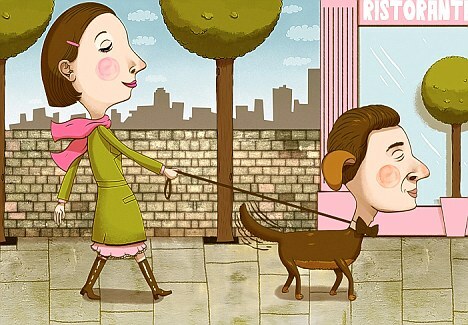 Another way to show the world that he is yours is to dress him either up or down. 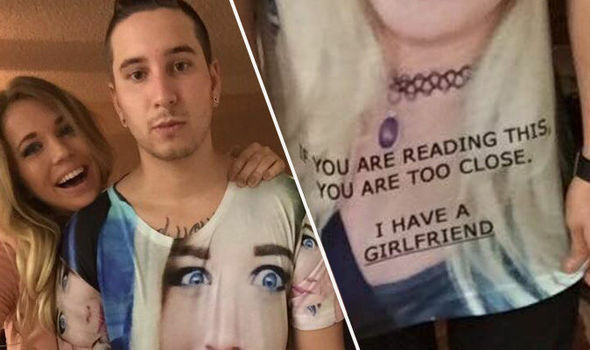 Why not buy him a t-shirt with your face on it? Or force him to get a tattoo with your name. If he says no - threaten his manhood or throw an emotional fit about how he doesn't love you enough and he will be inked in no time ;) Alternatively, gradually take control of your man’s wardrobe and ruin his appearance so that no one else would want to be with him. Tell him he looks good with a scruffy beard, let him eat that triple cheeseburger to gain some extra pounds and encourage him to reuse yesterday’s ketchup-stained shirt. Trust me, no one will want to look at the trainwreck of a man when you are done with him. I know this idea might seem strange seeing as you will have to put up with his horrid appearance but ask yourself this: Do you want complete control over your man even if it means ruining him forever? Of course, you do! You can always move on to someone nicer looking whenever you want but he will never be able to recover after you are done with him. Well done you! These were just a few of the domineering techniques I use on Joe and I hope they will come in useful for you as well. There are many more things of course but I can’t tell you them all because where is the fun in that! Besides, not everyone is blessed with a supermodel body and eternal good looks like me *hair flip*. Best of luck girls and go put those men on a leach! Azaria Diavolo amazing article, this is truly something all women could use and full of laughs too!